Carol Reid, Betty’s Place program and housing coordinator at Project Place, was honored by the Massachusetts Housing & Shelter Alliance (MHSA) with a nomination for the 2017 Ed O’Neil Award in early December. 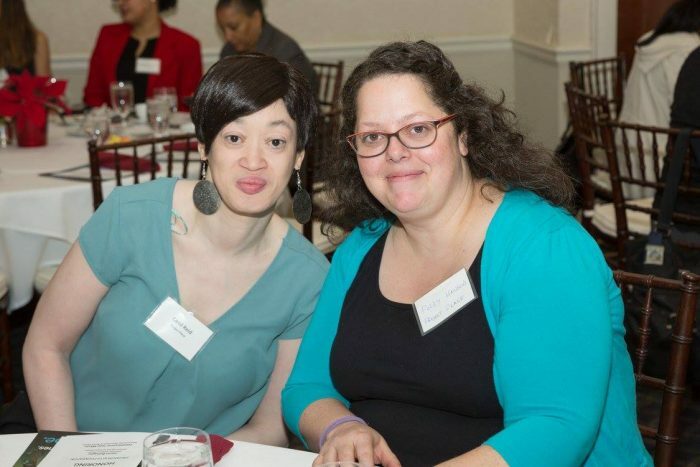 The award honors “an exceptional direct care worker from a MHSA member agency who has demonstrated a strong commitment to ending homelessness” (MHSA). Reid’s nomination for the award celebrates her dedication to the work of Project Place and her commitment to helping our clients grow in their lives and careers. Betty’s Place is a client housing program developed and run by Project Place. The program eases the difficult transition for women leaving shelters. Located in the former YWCA, the rooms provide a safe environment for ten women at a time, as well as daily meals. During a stay of up to six months, the women attend classes or may work in an enterprise program, all the time supported by individually designed wraparound services. Project Place emphasizes the practical aspect of managing money, encouraging clients to save toward the funds necessary for a rental; i.e., a security deposit, along with first and last month’s rent. Photo: Carol Reid, Betty’s Place program and housing coordinator, and Polly Hanson, associate director at Project Place, at the MHSA Annual Meeting in December 2017. Photo credit: David Fox Photographer.